You love the sun because of days at the beach, playing in your backyard with your kids, and spending time with your loved ones with a picnic. Now, you should also love the sun because of the incredible benefits of solar energy. More and more residents of North Carolina are investing in solar panels, and it isn’t hard to understand why. If you have ever been curious about solar power, and you’ve recently been wondering if you should install solar panels, contact Ace Solar & Roofing. Not only are we North Carolina’s favorite roofing company, we can also install solar panels so you can start benefiting from the wonders of solar energy. Save money. Believe it or not, investing in solar panels could save you thousands of dollars over time. A recent study by the Solar Outreach Partnership found that on average, you save between $44 and $187 a month during the first year you switch to solar power. That can save you up to $2,233 in a year! Some estimates say that you could even save more than $20,000 over the course of 20 years. If you want to save on your energy costs, solar panels are the way to go. Save the planet. Solar panels are not only good for your wallet, they are good for the environment. It is estimated that installing one solar energy system offsets 178 tons of carbon dioxide over three decades! When compared to the environmental devastation wrought by oil and coal, the most common energy sources on earth, solar energy is the clear way to go. It is completely harmless to the environment and a readily available resource. Increase the value of your home. Solar power is simply the way of the future, and many potential homebuyers are willing to pay a pretty penny for a home that already has solar panels installed. In fact, a study by the Department of Energy found that homebuyers would pay $15,000 more for a home with a solar system installed! If you are looking to invest in the value of your property, solar panels are a smart way to go. Never run out of energy. While fossil fuels are steadily depleting, solar energy is here to stay. Every second, the sun provides four million tons of energy! When you have solar panels, you don’t have to worry about broken generators or dissolved utility companies; you have control over your energy, and your supply will never run out. Why Should I Call Ace Solar and Roofing? The logic behind installing solar panels is clear. 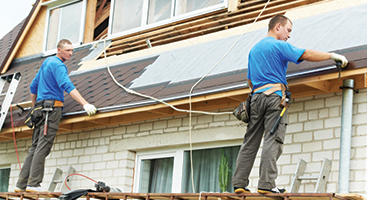 So why use our roofing company over the others who install solar panels in Charlotte? Simply put, you can trust us. 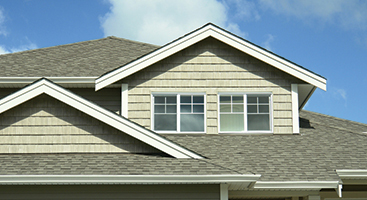 As a family-owned business local to North Carolina, we have a great reputation for providing roofing services, from installation to repair, that the good people of Charlotte, Greenville, Southeast Carolinas, and the metro Atlanta area can trust. 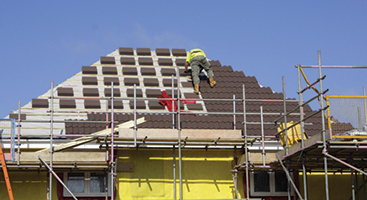 From shingle replacement to roof replacement and solar panels, we have you covered. When you are looking for solar experts who can help you benefit from the incredible power of the sun, contact Ace Solar and Roofing.